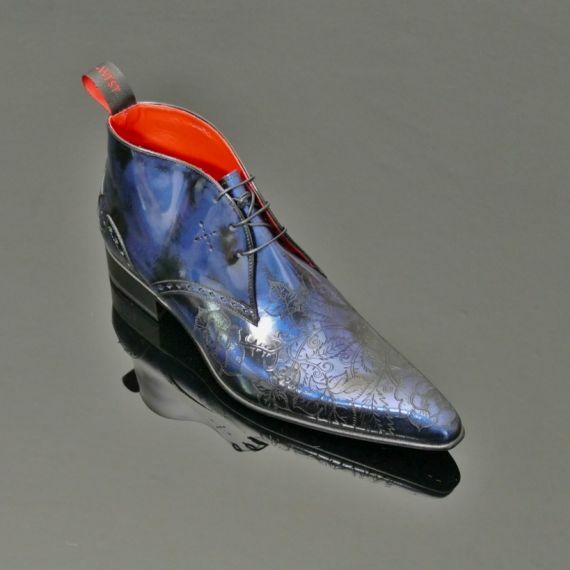 The "Bloodrose" Chukka Boot on our classic Ziggy last, with laser cut mutation of poison ivy, thorns and roses in marbled Black and Blue fume leather. 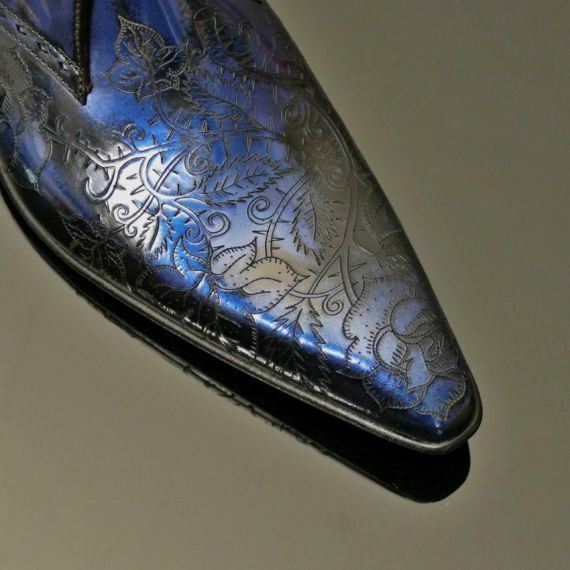 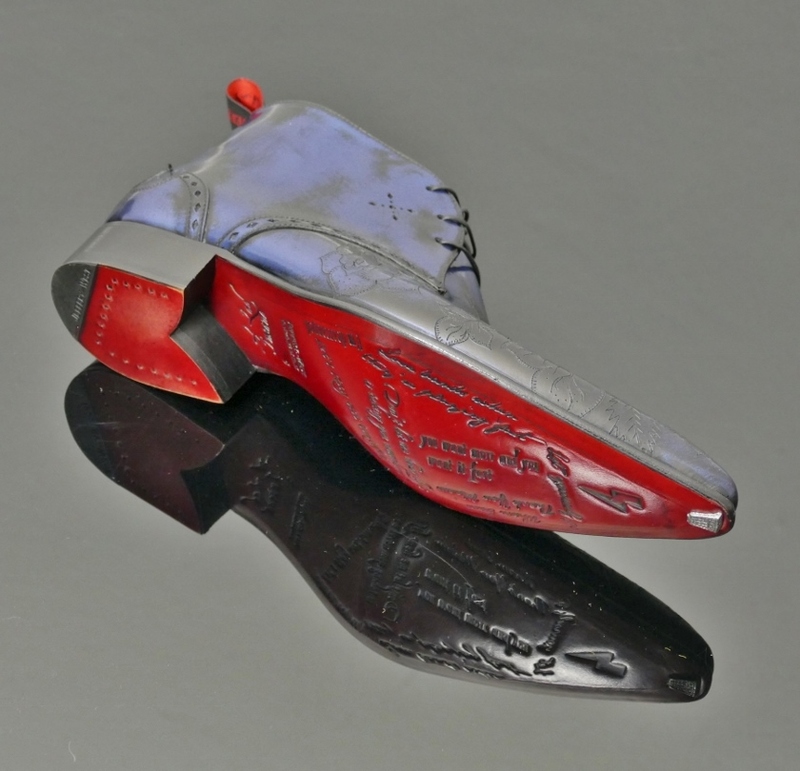 With Victorian-esque diamond punching along the side and contrasting red leather interior and sole. 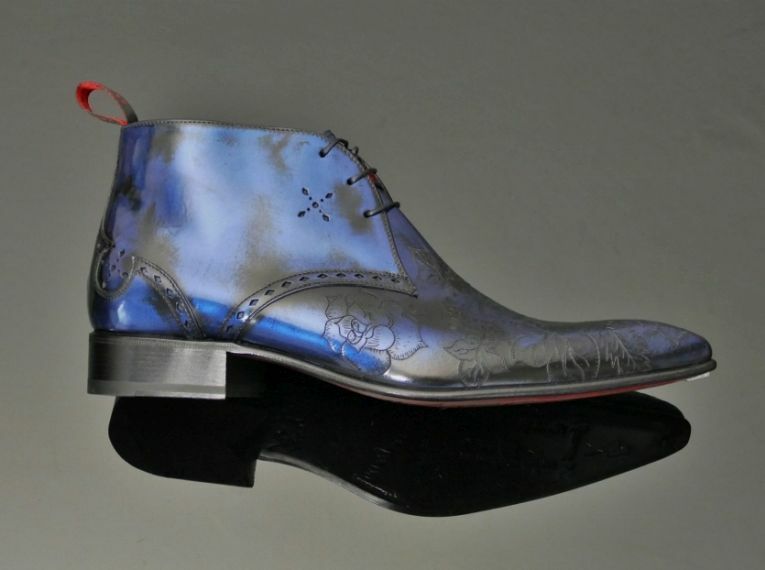 To read more about Ziggy Stardust/David Bowie please visit our HEROES section.